Battlefield 3 Key Details and Teaser Trailer to be Announced tomorrow?? Planet Battlefield posts a few tweets from developer DICE. Tomorrow is going to be rad. That’s all I have to say about that! Defying the current climate of gaming mag “printicide” surviving pubby Game Informer has nabbed exclusive cover coverage of EA’s next big thing. 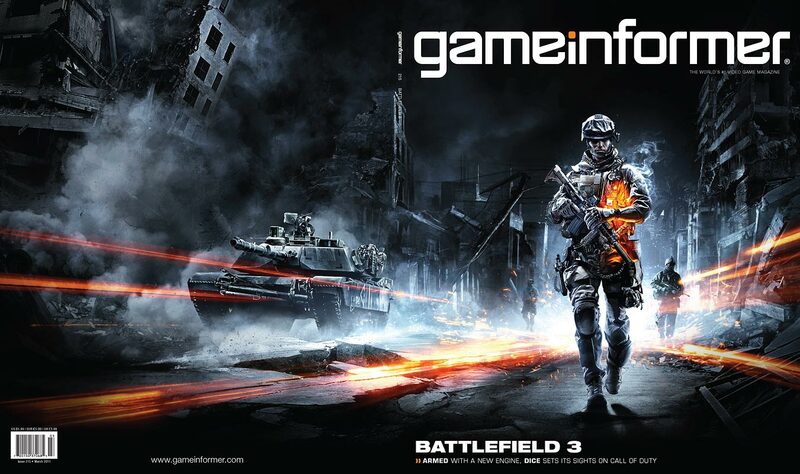 “You’ll have to read the magazine to get the dirt on what DICE has in store for the single-player and multiplayer modes, but check back here and visit the official Battlefield 3 site tomorrow to watch the premiere teaser trailer and glean a few more key details. Looks like some new details or maybe a teaser trailer would be announced tomorrow of DICE’s upcoming FPS game “Battlefield 3”. Till then you can go to the official Battlefield site for more info. You can also check out a recent post about the cancellation of Battlefield 1943 and Bad Company2 Onslaught here.